If you are passionate about the work that we do and want to support the mission of East Bay Innovations, there are many ways you can contribute! Your donations help EBI provide services to more than 500 individuals with autism and other developmental disabilities, and adults who’ve become disabled as a result of health crises, accidents, and acts of violence. Keep reading to learn more about the different ways you can make a difference. Save the Date for EBI’s 25th Anniversary Benefit! You can make a one-time or a recurring donation here. If you prefer to send your donation by mail, click here for the form. When you donate your vehicle (car, truck, van, motorcycle, RV, or boat) to East Bay Innovations, individuals with disabilities benefit! We make the process easy, and you even get a tax write off for your donation. We accept most vehicles, even those with high mileage, running or not. To participate, fill out a quick form here, or call 1-888-686-4483 for more information. If you donate appreciated securities (stocks) directly to East Bay Innovations it offers you tax benefits. The following is a summary of the tax benefits of making such a stock contribution and some timing and process considerations. Individual circumstances vary and those interested in donating appreciated securities to charity should consult with a tax advisor about their particular situation. Appreciated securities are investments that have increased in value from the time they were purchased, and can take the form of publicly-traded stock, closely-held stock or mutual funds. For example, if a stock was purchased for $30 per share and sold for $50 per share, the stock has appreciated by $20 per share. When appreciated stock is sold, the owner generally realizes capital gains equal to the appreciated portion and may be liable for either short-term or long-term capital gains taxes, depending on the length of time the investment was held. Taxpayers who are considering current year charitable contributions and are also facing long-term capital gains taxes on appreciated stock that they have held for more than a year can realize a much more favorable income tax result and charitable impact by making a timely donation of the appreciated stock directly to charity. If a donor contributes appreciated stock held for more than one year directly to East Bay Innovations, the donor can usually deduct the fair market value of the donation without realizing any capital gains. The donor should not sell the stock; it should be transferred to East Bay Innovations. Check the contribution first with your tax professional. Contributions to East Bay Innovations are tax-deductible to the extent allowable by state and federal law. Our federal tax identification number is 94-3210351. You can leave a legacy benefiting East Bay Innovations through a trust, will insurance policy. etc. Your planned gift will have an impact on creating a future with more possibilities for East Bay Innovations and the individuals we serve. You can have a meaningful impact. Planned giving is not difficult to set up and you can be part of EBI’s Legacy Builders. Please contact us and we’ll help you through the process. Your consideration of a planned gift is greatly appreciated. 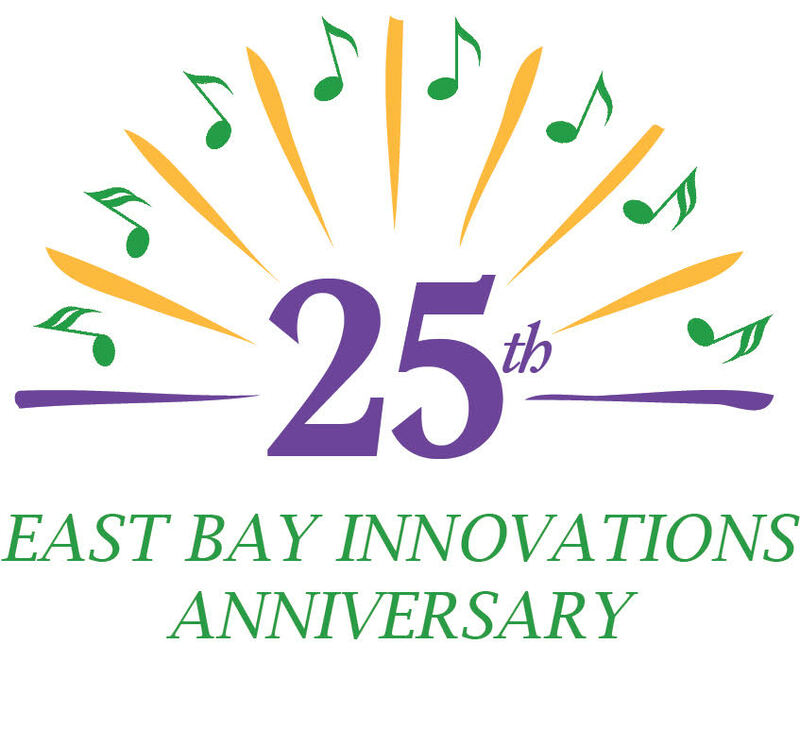 To learn how to remember East Bay Innovations in your will, please click here. To join Legacy Builders and make a bequest, use this form. Make a one-time or a recurring donation. If you prefer to send your donation by mail, click here to download the form.